Done. Please help these kitties and thank you Riverfront Cats for all your time, compassion, and generosity. Awesome blog indeed! 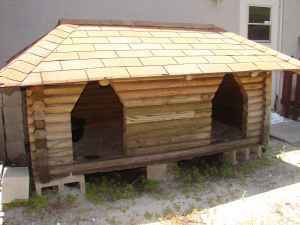 And good job making that custom log pet house I hope you can teach me how to do that so I can built one for my pet cat. Anyway did know that how to train a kitten does magnificent job on training cats?